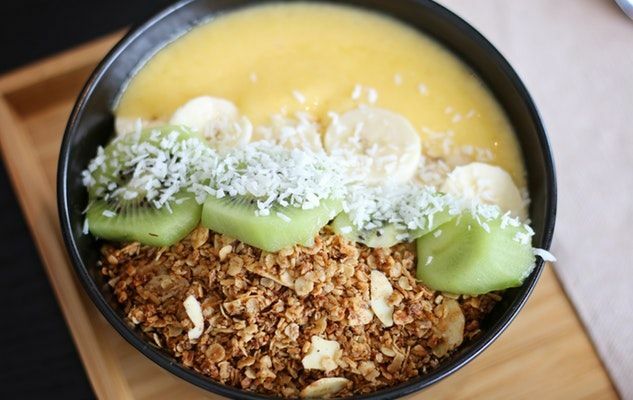 Smoothie bowls have become very trendy on social networks these last few years. They are colorful, beautiful and appetizing. At SOSCuisine, we find them simply amazing because they encourage the pleasure of eating well! Here’s how to make your own smoothie bowl in 3 simple steps. Start by creating your smoothie. We have several recipes on our website, but sometimes it’s easier to go with your imagination and whatever you have in your pantry. A good smoothie usually needs three elements: fruit, liquid and a sweet ingredient. For the fruit, use frozen fruit that you can buy at the already frozen at the grocery store or fruit that you have frozen yourself. A good tip is to freeze your bananas when they become too ripe. You will avoid waste and they are perfect for making delicious smoothies. Otherwise, berries (strawberries, blueberries, blackberries, raspberries, cherries), mangoes, pineapples and peaches make excellent smoothies. You can even add vegetables to your smoothie like spinach or beets. Then your smoothie will need a liquid. I suggest a mixture of plain yogurt and cold water, kefir, milk (cow, soy, almond…), coconut water or tea. I do not recommend adding ice cream, because the taste will be diluted. Instead, choose frozen or very cold ingredients. For extra protein, add silky tofu or nut butter. For more flavor, add vanilla, cinnamon or matcha. For a touch of sweetness, add some maple syrup, honey, agave syrup or sugar. Put everything in your blender and mix! To save yourself the dishes, be aware that most mixer pedestals are exactly the same size as a Mason pot lid. Very handy if you prepare an individual portion. It’s time to take out your best bowl! Pour the contents of your smoothie into the bowl. Now let your creativity run free and decorate ity. Add nuts, seeds (like chia), fruit, coconut or homemade granola. Arrange them in rows or however you like. Think of both colors and textures to make it pleasing to the eye. The last step but certainly not the least is to immortalize your creation! Take out your smartphone and take a picture. Photograph it directly overhead for a more beautiful effect. All that’s left to do is to post it on Facebook, Instagram and/or Twitter. Don’t forget to mention SOSCuisine during your sharing! A graduate of the UQAM in Communication (digital media) and a connoisseur of culture in all its forms, Jeanne has been the social media community manager for SOSCuisine since 2016. 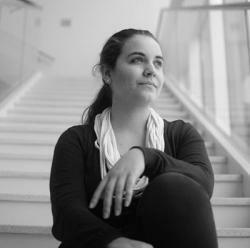 She also collaborates on the creation of content for the blog. SOSCuisine helps her to shop and eat better every day.